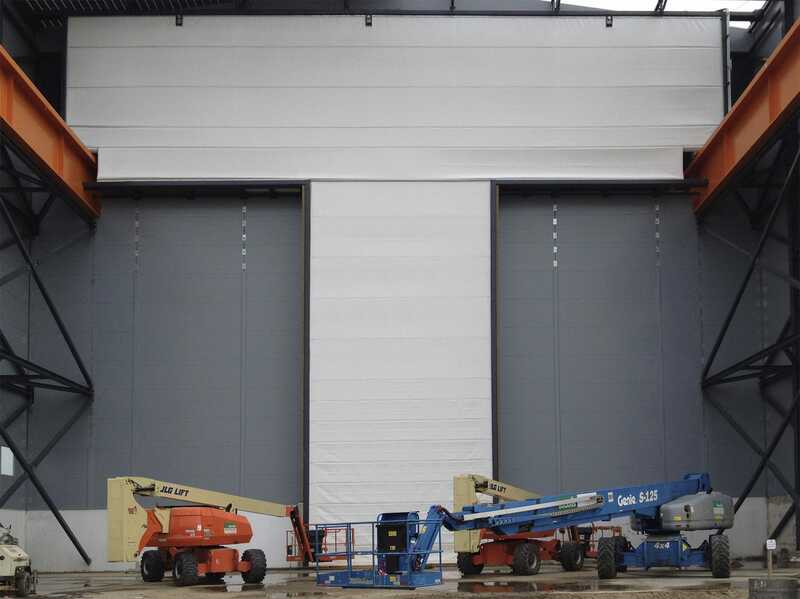 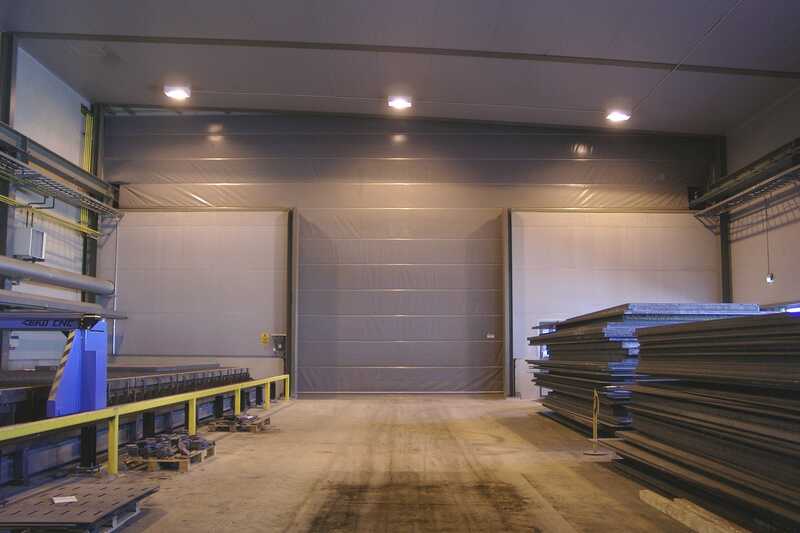 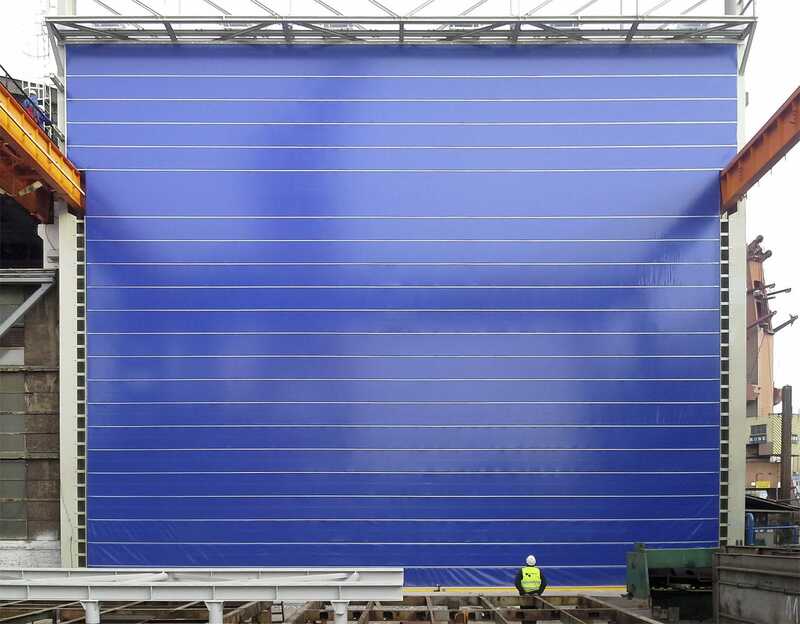 Champion Door fabric fold-up craneway door technology is ideal for large special doorways required within the industrial sector. Champion Door crane door solutions are especially designed to do away with the problems traditionally associated with craneways. 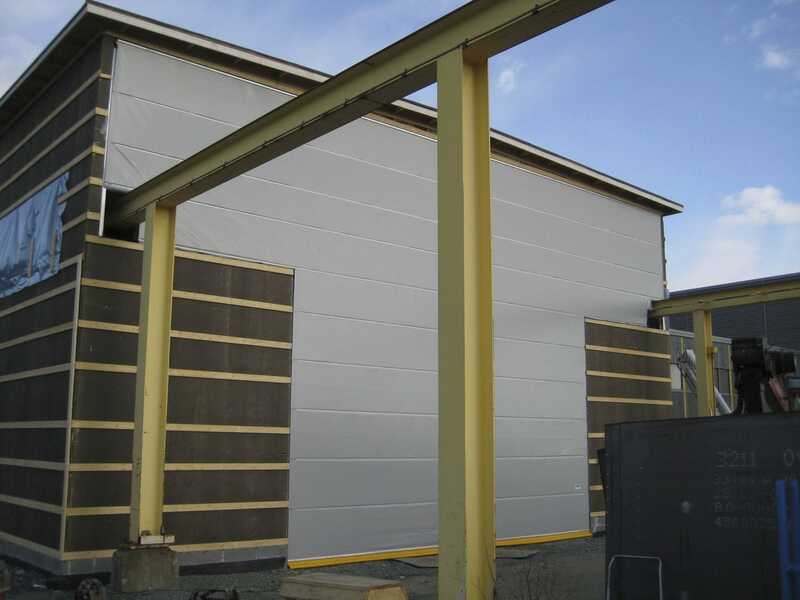 Large industrial halls where cranes are used can be divided with specialist door solutions that cover both the craneways and access doorways with a single fold-up door assembly. 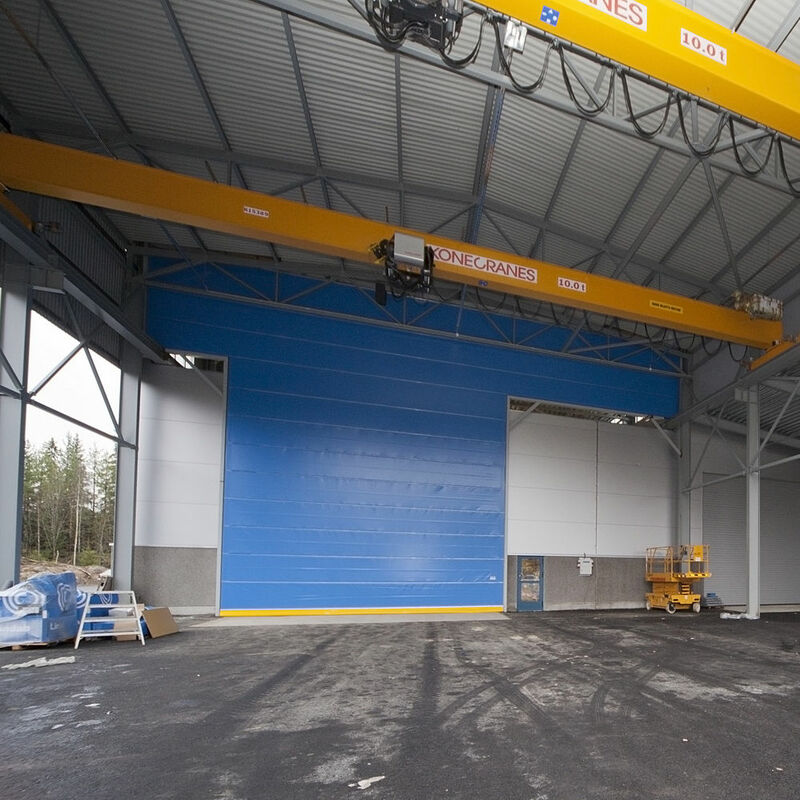 The crane door can also be used separately and the whole door can be raised when the craneway is in use - saves energy in cold climates.